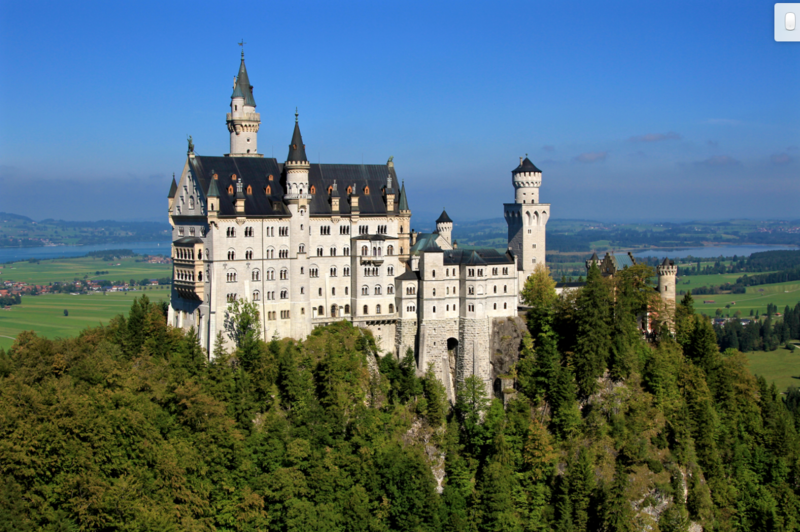 There are so many amazing castles in Germany. 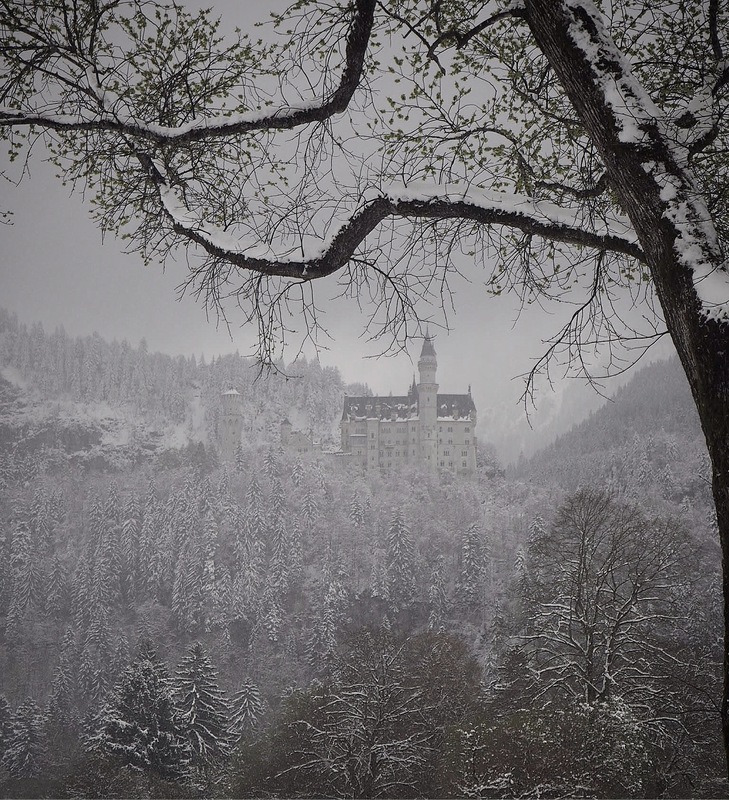 But Schloss Neuschwanstein is the one I really wanted to visit. With looks like this, you can see why it is the most photographed building in Germany. It is also one of the most visited tourist spots, with as many as 6000 visitors a day in summer. The photographs of it are jaw dropping. You will probably recognise it. This is what we expected to see when we went there in April. 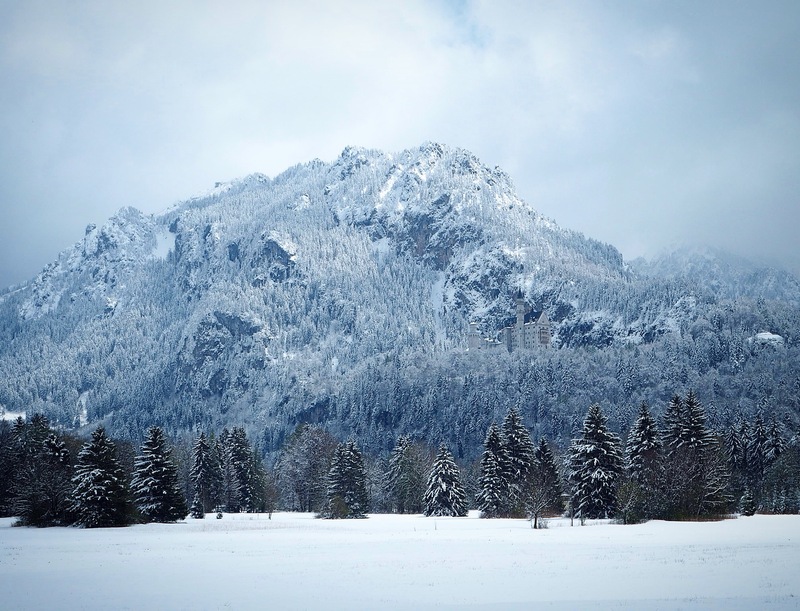 However, after a beautiful week of sunshine in Slovenia, we drove up to Bavaria to find this. Unlike most of the castles in Germany, this one was not built for defence purposes. Instead, it was commissioned in the late 1800s by Ludwig II of Bavaria as an idealised interpretation of the medieval world. 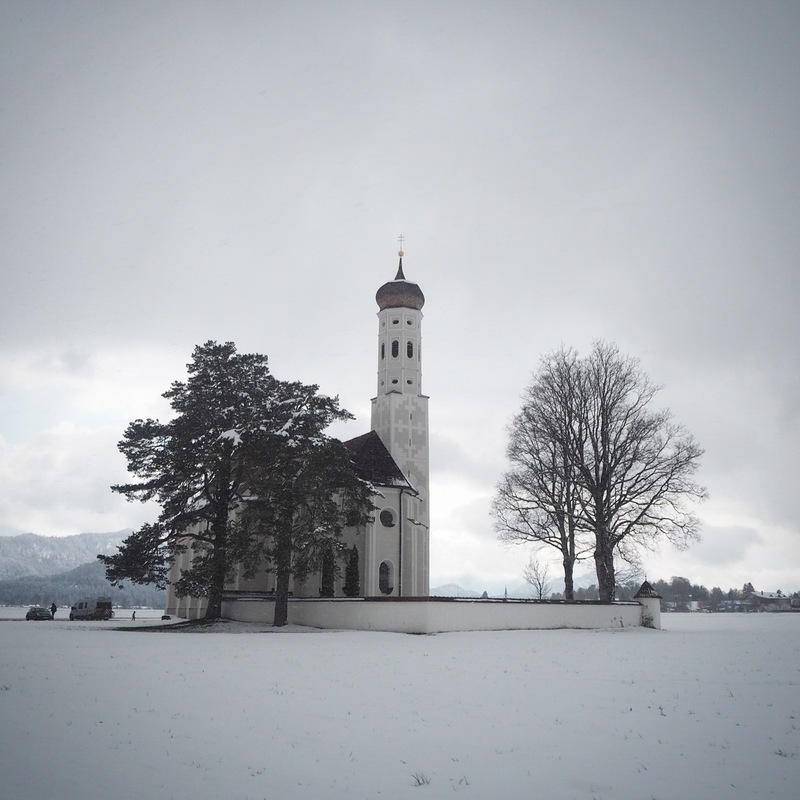 Ludwig II was obsessed with the operas of Richard Wagner, and this dramatic Romanesque castle with its soaring towers and breathtaking mountainside backdrop was the perfect set for his operas. Ludwig II came to the throne when he was 18 and, by all accounts, he was a shy dreamer. He retreated further and further into a fantasy world, spending vast sums on the construction of his fantastic castles. He was an eccentric and extremely shy, and by no means a natural leader. The government, unable to control Ludwig II and his spending, (although it was his personal fortune he was spending, rather than state funds) had him declared insane and deposed in 1886. It has also been argued that he was not insane – eccentric yes, but not mad. Was this just an excuse for the government to take back control? The irony is that this castle which was barred to strangers during Ludwig II’s lifetime has now been visited by over 50 million people. And the government’s concerns over the spending? The revenue generated by the castle now has paid for the construction several times over. 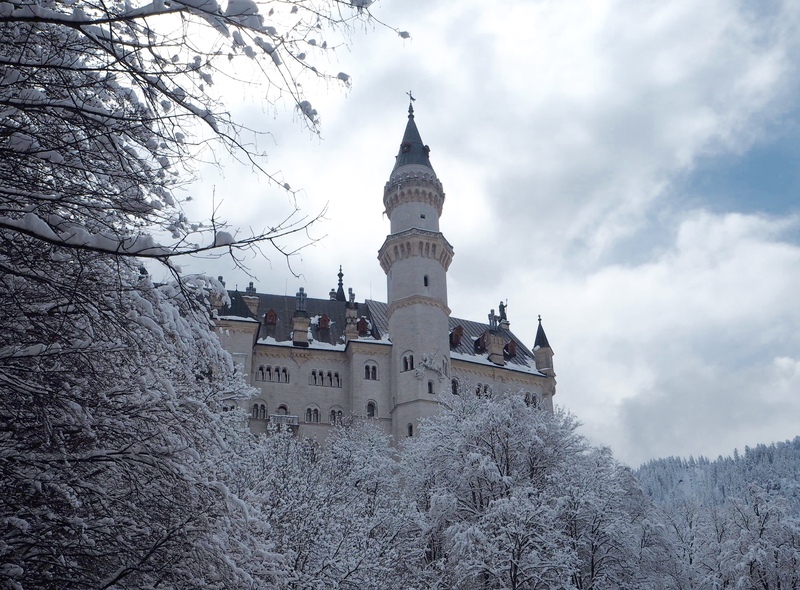 The ticket to Schloss Neuschwanstein also includes entry into Schloss Hohenschwangau (see ‘Details’ below for info on purchasing tickets). 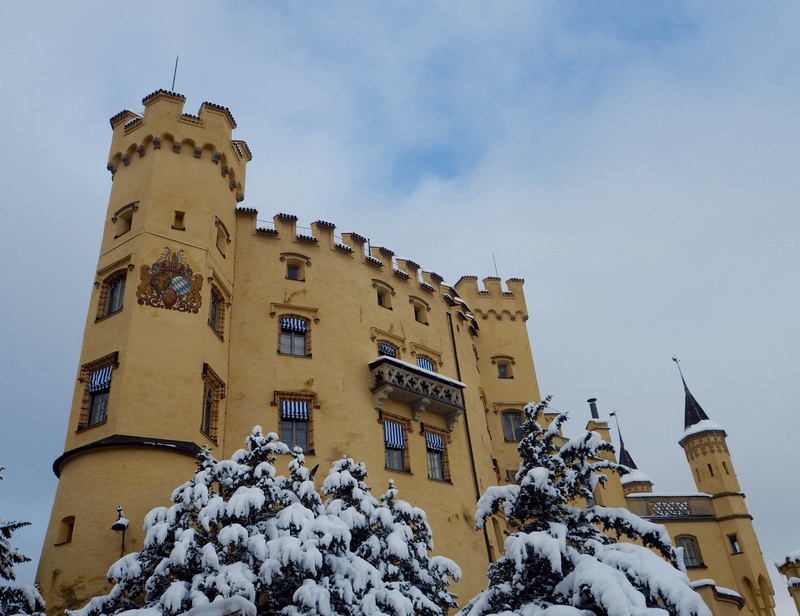 Schloss Hohenschwangau is a medieval castle which was rebuilt in a Gothic style by Ludwig II’s father, King Maximilian II of Bavaria. We did the English tour of the castle (entry is only with the tour) and it was really interesting. 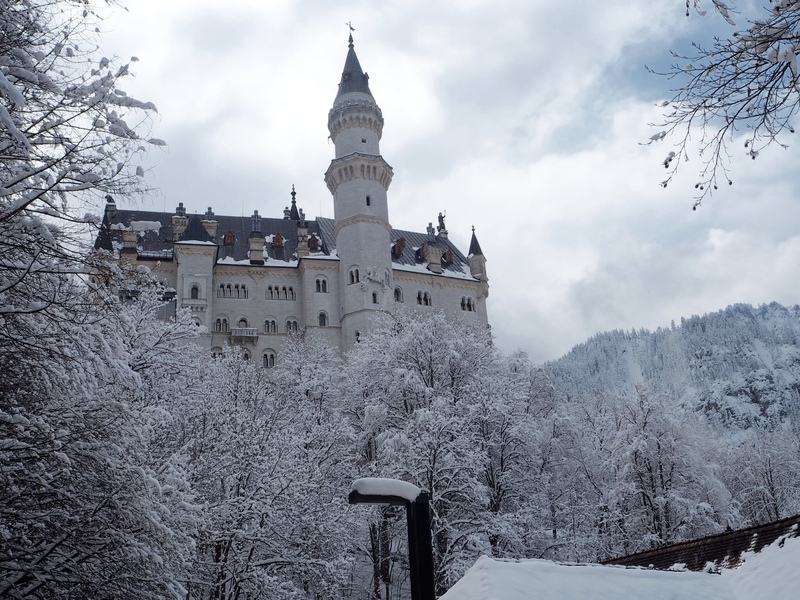 This castle feels more like a ‘home’, whereas Neuschwanstein feels like you are on a stage set. The kids really enjoyed the tours – the guides were very interesting and there are lots of quirks in the castles that grabbed their attention. We then walked up the (steep) hill to Schloss Neuschwantein. It’s also possible to take a horse and carriage which looked like fun. Again, access to the castle is only with a tour and no photographs are allowed inside either castle. 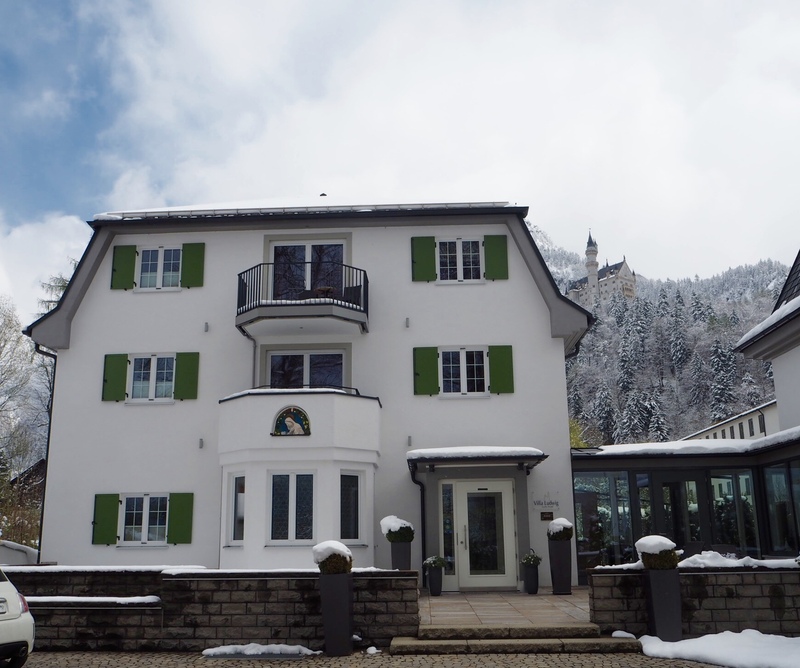 We stayed at the lovely Villa Ludwig Suite Hotel which is directly underneath Schloss Neuschwanstein and walking distance to both castles. 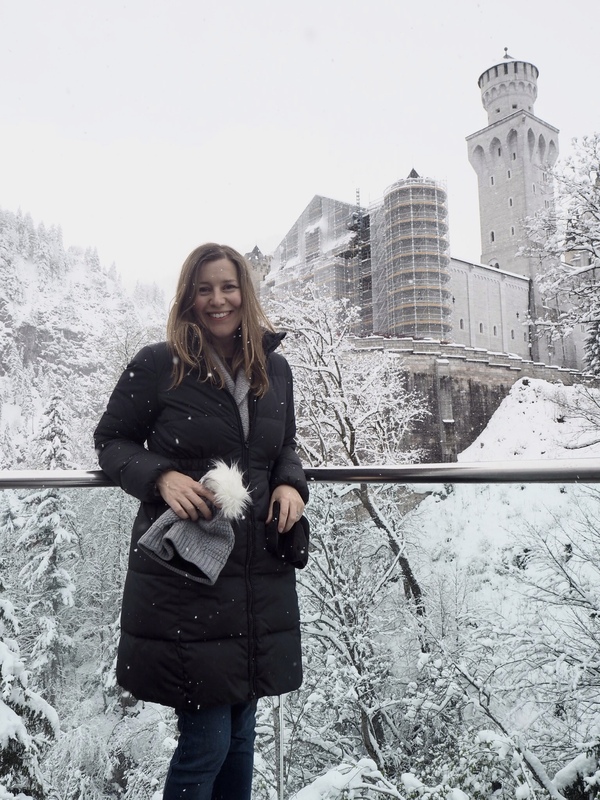 We had a family suite with separate rooms and enjoyed using the spa which has an outdoor tub with views of Neuschwanstein! There are plenty of options of places to stay in and around this area – an alpine chalet would be a great choice. We chose this hotel because we only had one night to stay and wanted to spend the full day at the castles. The service at the hotel was excellent and the staff at reception were super helpful and booked our tickets for us. Tickets need to be purchased in advance from the ticket office in the village below the castle – you can’t buy tickets at the entrance. Reservations for tickets can be made online here – it’s worth it to avoid long queues. The ticket gives you a specific time for your tour…make sure you allow yourself enough time to get to the castle! It takes about 30-40 minutes to walk to the castle, and the hill is steep. There is also the option of booking a horse and carriage and there is a shuttle bus too. Information on tickets and pricing can be found here. Prams, rucksacks and baby carriers aren’t allowed to be taken into the castle. July- September are the busiest months, so if you are going over this period make sure you plan ahead. I love to take photographs and was looking forward to getting some good pics of the castle. But when we got there, the front of the castle was scaffolded and this will be in place until 2018. One of the best places to view the castle is the Marnenbrücke bridge. When we went it was closed (typical!) due to the snow. You can check ahead of time whether the bridge will be open as it often closes in bad weather. But scaffolding and closed bridge not withstanding, this really is a spectacularly beautiful place with a fascinating story. 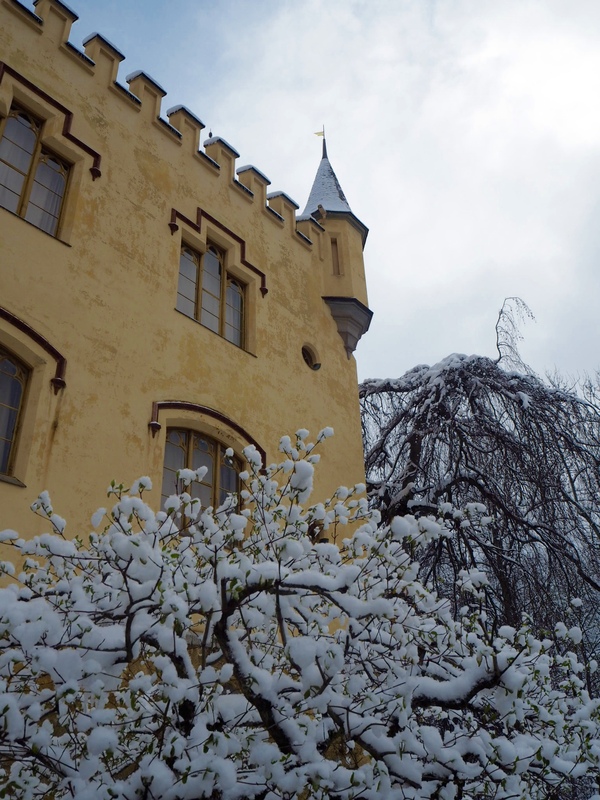 I’m not sure whether it is the ‘best’ castle in Germany, but it’s certainly the most famous. Definitely worth a visit…but be prepared for crowds!